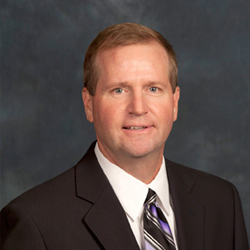 Gregory C. Pitts has served as Executive Vice President and Chief Operating Officer since December 2009, as Executive Vice President since 1995 with responsibilities within the Term Life Insurance and Investment and Savings Products segments and information technology division and in various capacities at our company since 1985. Mr. Pitts earned his B.S.B.A. in general business from the University of Arkansas in 1985. He serves on the Boy Scouts of America Atlanta Area Council.